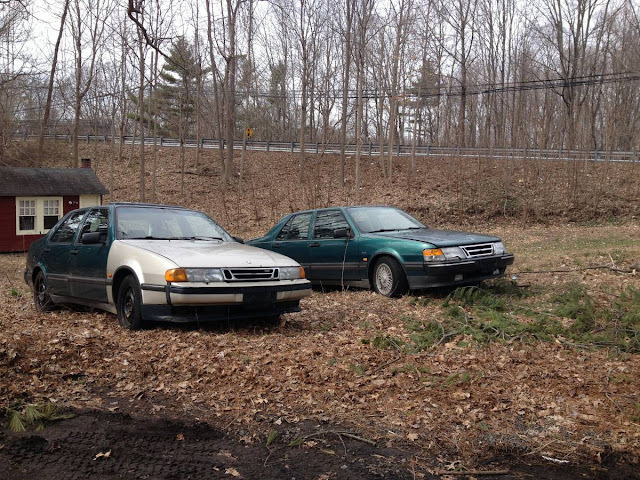 There were four hundred Saab 9000 Griffen Editions made in 1992 as a send off for the CD body style. All 9000's from 1993-1998 were the cavernous CS five door liftback. You would think it would be pretty hard to find one of these Griffens for sale twenty four years later right? 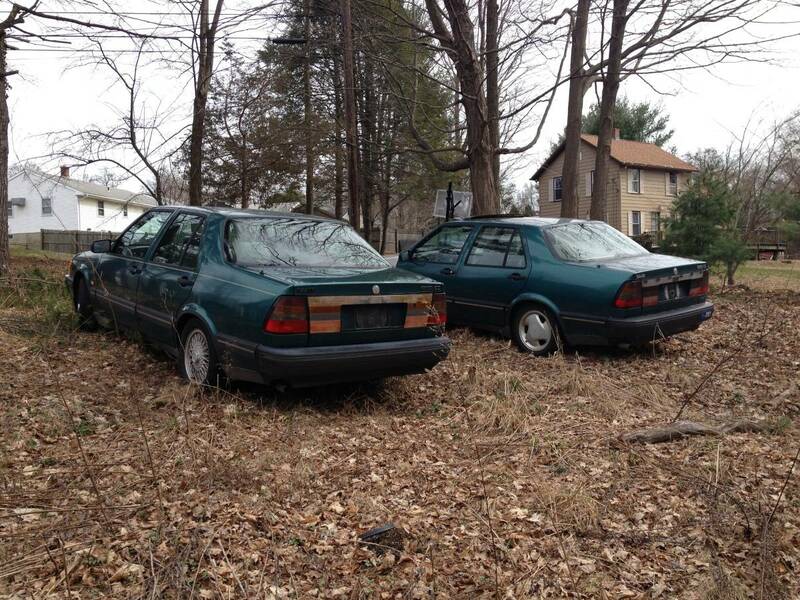 Here in New England, we actually have two 1992 Saab 9000 Griffens for sale in Meriden, CT for the princely sum of $400 via craigslist. All Griffen Editions came with Eucalyptus green paint ala Henry Ford and the black Model T. The front clip of one of our cars has been swapped from a later model beige car. The Griffen specific seats were a combination of taupe leather and suede. 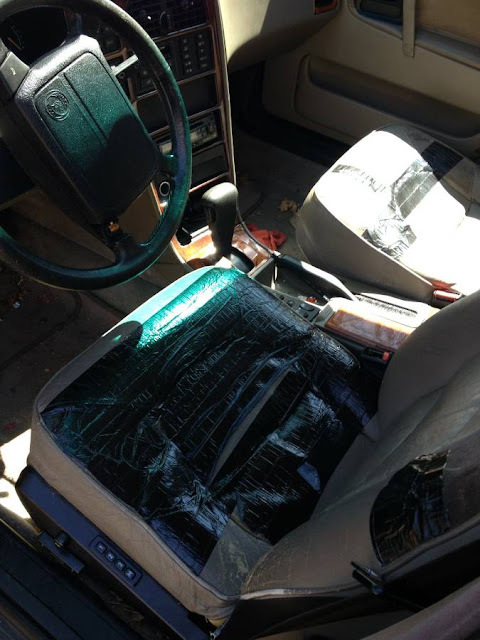 It appears MacGyver got his hands on a number of these seats and applied a generous helping of black duck tape. 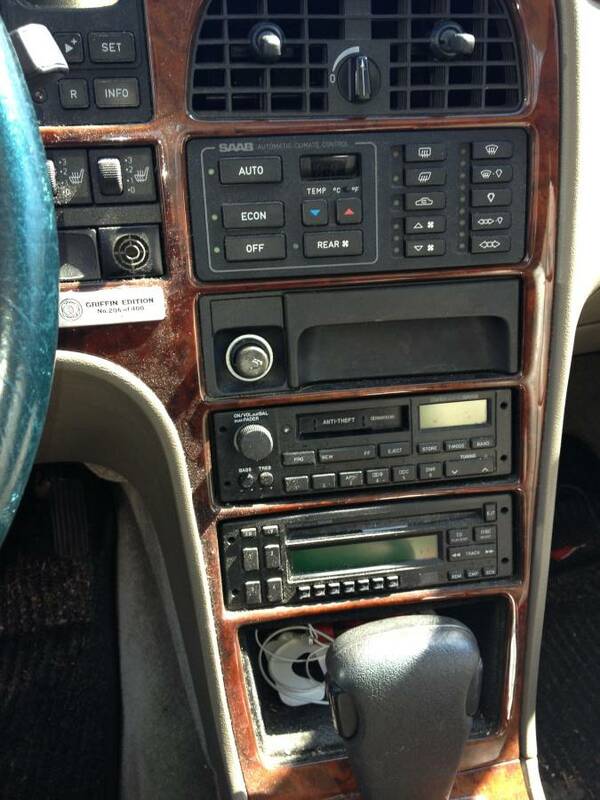 Other unique touches were burled walnut trim, portable cellular phone, separate rear AC unit stored in the trunk, rear window blinds, special carpeting, and a numbered dash plaque. We have Griffen #93 and #206 up for grabs here. Both cars came equipped with turbos and automatic transmissions that are in need of rebuilding. The Saab automatic transmissions were not nearly as stout as the 5 speed manuals as the seller notes that car #93 had a trans rebuild two years ago. The seller mentions both cars are in fair-good condition depending how you look at things or how many of your senses are functioning. The B234 4 cylinder engine made 200 horsepower in this application with the help with a Garret T25 turbo. The fuel control was under the control of the Saab APC system in 1992. The Trionic 5 engine management debuted for the 1993 model year. Cory is selling his 1995 Mercedes E36 wagon and will be starting in a 1995 Mercedes C36 project. Ugh, I love Saabs and this is only about 20 minutes away from me.. What am I waiting for?